To make the soil the most effective, we added organic material to the existing soil. This organic material consisted of part AquaSmart, which is a super-absorbent polymer-coated sand product that is available in the form of a straight additive for increased moisture retention and growth of plants, flowers, trees, and grass/turf with water savings estimated at up to 60%; part expanded shell and part compost material. The overall system has been designed with more efficient nozzles to provide a more efficient coverage. We have installed 10 miles of drip irrigation in our new and expanded planting beds. This design showcases how important irrigation and proper watering is. We have been able to keep the Azaleas at the Gazebo because we have installed proper irrigation that meets with our Water Efficiency program. Attractive, delicate, fern-like foliage. Canary yellow flowers bloom in cooler weather/early spring. 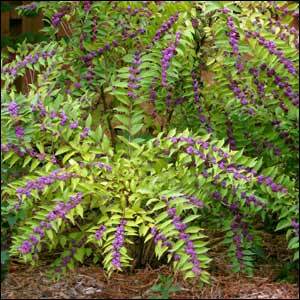 Grows well in partial shade to sun. 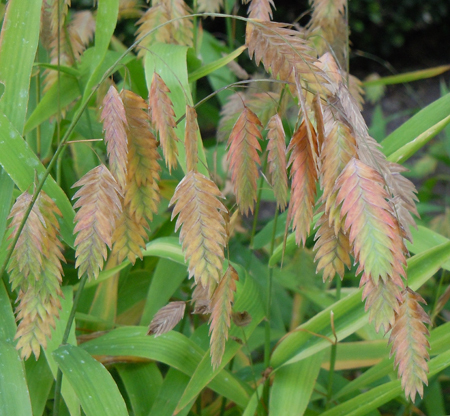 Native to Texas, this is a perennial grass bearing large, drooping, oat-like flower spikelets from slender, arching branches. 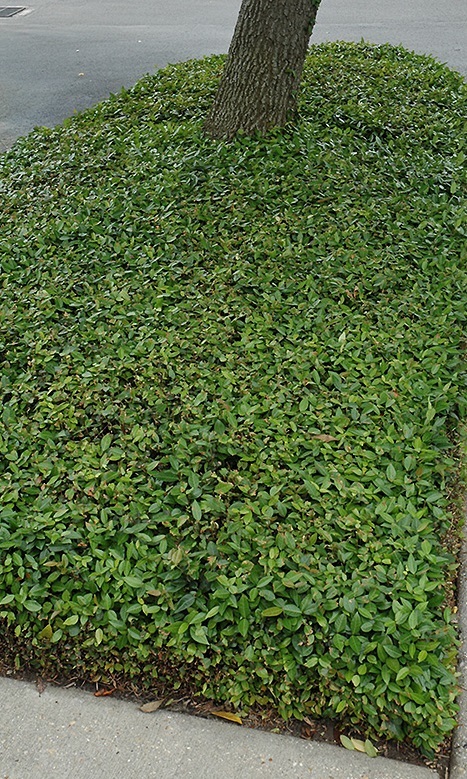 This is a very popular as a low-maintenance shade grass. Bright green leaves turn a coppery color after frost. Deciduous shrub that is native to Texas with dull green leaves. Small greenish-white flowers produce showy clusters of berries. The shrub is attractive to birds and butterflies. 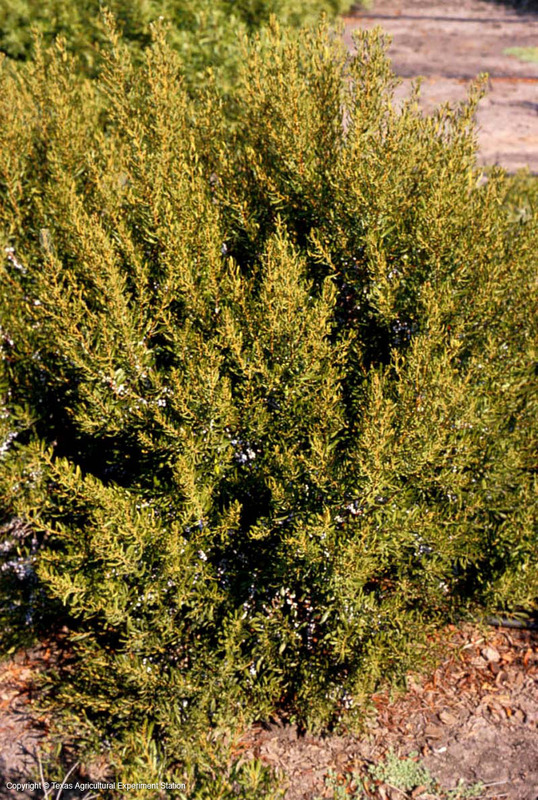 Evergreen shrub with light olive green colored leaves. Native to Texas, it grows well in sun to shade. Females of this species produces silvery blue-grey berries. New spring growth produces a bayberry scent. Grows well in either full sun or light shade. 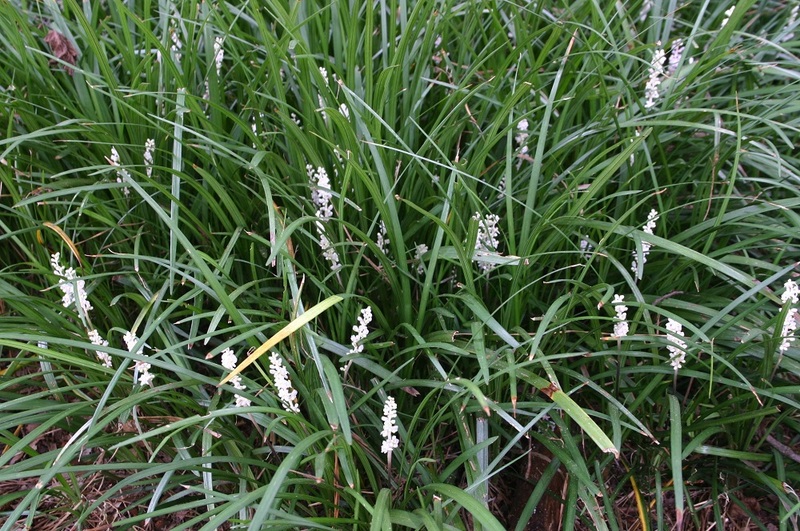 The bloom is a stiff spike that sometimes is not seen for the plants foliage. Generally prefers partial shade, but will grow well in full sun as well. Small fragrant flowers mid-summer through early fall. Very hardy and the leaves keep a green spring color in the warm months and in the winter months, the leaves take on a purple tone that keeps a colorful appearance year-round. Native to Texas, bright-to-medium green fronds that turn bronze in fall. Dappled sun to shade. This fern is an excellent ground cover in deep shade where many other ground covers may not grow. 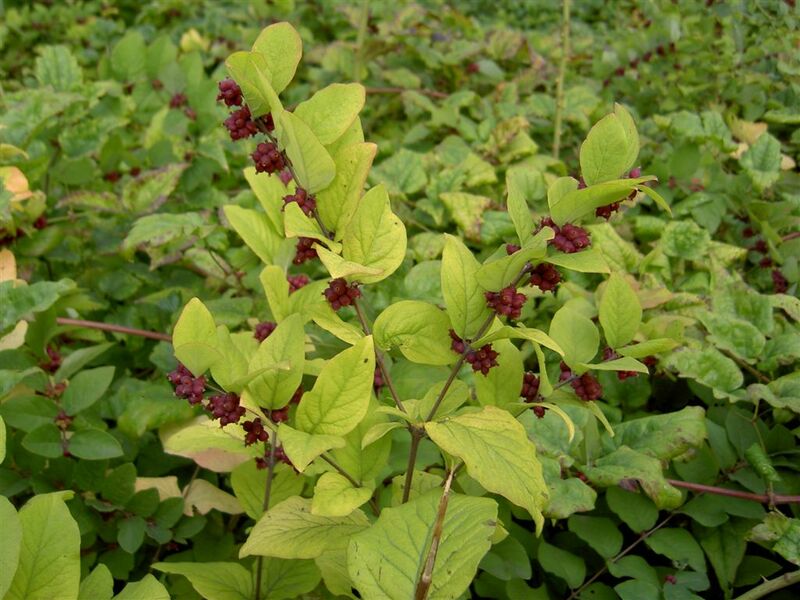 Native to the southern United States, this plant produces large clusters of purple berries in August through October that attract song birds. 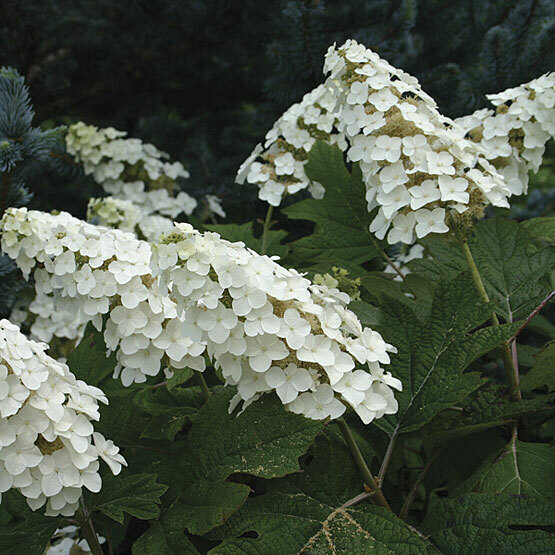 White/near white blooms in the late spring and early summer. Grows best in sun to shade. 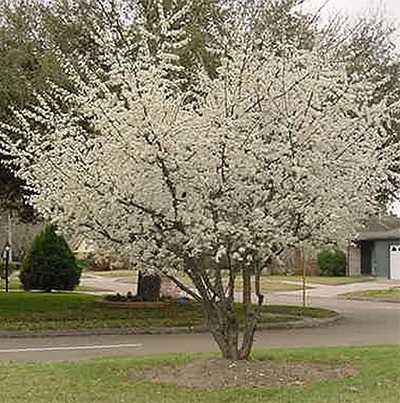 Small, deciduous, planting range through Texas, OK, AR, MO and to the northeast; reliable fall color; blooms in the spring with white flowers. Open and airy, dense glittering clouds of vivid color. 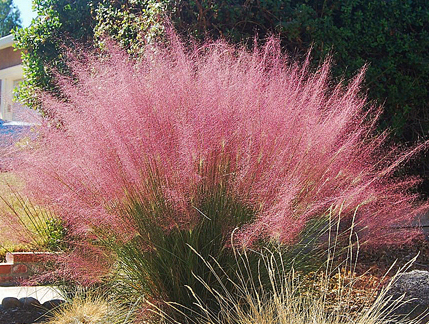 The texture of these plumes adds delicate softness to the garden. Grow in full sun average to dry soil with very good drainage. Drought tolerant. Does not tolerate winter wetness.